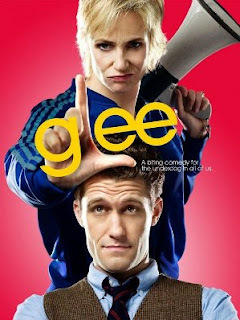 In case you are not a so-called "Gleek" nor exposed to one with any regularity, tonight's television lineup includes the heavily hyped and, so far as I can tell, highly anticipated "Madonna episode," awaited rabidly by the large and growing number of fans of Fox's freshman musical comedy and sure to build on the already inflated ratings of last week's return episode, the first new one since December, which tallied 13.66 million viewers. Maybe it's just the kind of people I tend to know, but even for a Glee abstainer (supporter, just not participating) there is an almost palpable anticipatory energy. It's almost like one can feel the...glee. Since this week's real true pop event (to borrow from Lady Gaga) is especially relevant to this blog, I thought I'd throw a few bones the way of all the Gleeks out there - without compromising my general distaste for the way the show handles its music, of course (for reasons I have touched upon herein and will undoubtedly expand on forthwith). So for the first of two Gleeky posts in honor of the occasion, I have helpfully compiled the eight tracks from the Queen of Pop's vast library creator Ryan Murphy et al have chosen to absorb into the Glee diaspora for your preparation, LEST WE FORGET that none of the earth-shattering amazingness supposedly in store would be possible, much less relevant, were it not for the original success of the one and only Madonna. And after the show, come on back to bask in a second playlist, this time with the incorrigible cover versions you love ever so much. 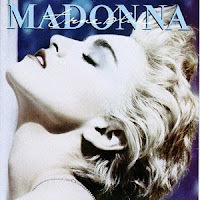 One of my favorite early/middle Madonna anthems, not just because it trumpets my own personal philosophy of life. People who were around when this came out seem to like this song a lot; I don't care for it much, but then I wasn't yet born. Ditto the above, but to a lesser degree (and I was born, but my ears were nowhere near Madonna music I'm sure). I definitely give the Glee folks props for their fabulous promotional video starring the superb Jane Lynch (who doesn't sound half bad) as sociopathic villainess Sue Sylvester...as Madonna. The first thing I think of when this song comes up nowadays is the scene in the film version of Bridget Jones: The Edge of Reason in which Bridget attempts to teach a jail cell full of Thai women that the chorus to this song is nowhere near as explicit as they had readily assumed. As do I, now. 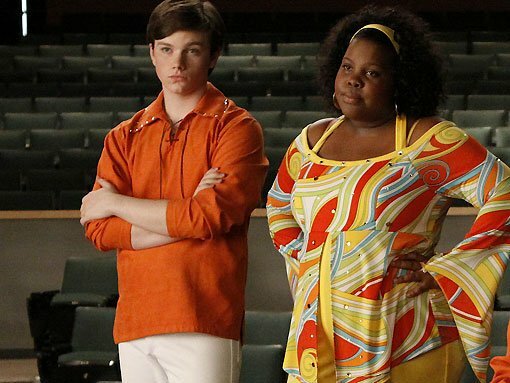 Of all the recent material to utilize, this seems like a poor selection, but supposedly Amber Riley and Chris Colfer (as black diva stereotype Mercedes and flamboyantly gay stereotype Kurt) "tear it up." Wait, we got how many minutes to save the world? Hell to the naw! Mildly interesting, as the number is to be performed by the male cast members in tonight's show. I give a second round of reluctant props to the Glee crew; as closing numbers go, this one has as much or more potential as "Don't Stop Believin'," used to such great effect in the climax of the impressive pilot episode.